You would think that being from an island in the Caribbean I would welcome the summer months with open arms and bask in the long days of sunny weather. While I enjoy a bright sunny day, I usually enjoy warmer temperatures with a margarita in hand and the sound of the ocean not too far away. The streets of New York in the summer are muggy, sticky, smelly and it's nearly impossible to stay "fresh" during a normal work day. Which is why I instead welcome Fall and it's cooler temps with a massive hug and a big kiss on the cheek. Hot cups of espresso style coffee and foliage colors aside I love the chance to finally layer my clothing again. Mixing fabrics, textures, and colors is fun and breaks up the summer uniform of T-shirt and Jeans. My broad shoulders and short torso don't always lend themselves to certain fashion trends but I've found a couple things that work just right. Below are my favorite go-to's and where to get them! For years the only denim I owned was black. Once I learned how well blue's and and grey's compliment my skin tone I learned to mix and match other colors into the mix. These days you'll almost always find me in some arrangement of blue jeans and a tucked in button up shirt. I instantly look pulled together and "smart" for whatever environments I find myself in during the day. Above I'm wearing a new wash and style of denim from TOPMAN and a slim-fit button down also from TOPMAN. Paired with a tan boot from ALDO and a heavy knit cardigan from Club Monaco. I like the versatility of the the cardigan and being able add another texture and color into the mix. Because the outfit at it's core is simple I felt more comfortable to play up the jewelry and accessories. The watch is from TIMEX, bracelets from MIANSAI, and backpack from COACH. One of my favorite things about this Camo Pullover jacket is that it is an actual Army issue'd garment that I picked up while I visiting my sister and her husband in Fort Bragg. It houses a hidden hood for rainy days and is surprisingly warm considering how thin the fabric is. Mixing the stripes and the Camo Pattern seemed risky but once put together with a blue jean and a white sneaker it all seemed to work. Something like this is great for those misty, muggy fall days. Those early fall days are sometimes too warm to layer but cool enough to wear thicker knit fabrics. I love small design details and being able to pair them with either jeans, khaki's, or a slim patterned dress pant. I get asked a lot about the hooded, short sleeve pullover above. I pulled it off of a sale rack at Urban Outfitters two years ago and haven't been able to find it since. It normally hangs on a hook next to my bed and is usually the first thing I put on in the morning before checking emails and making a fresh cup of coffee. In my 14 years of living in New York I can't remember a wetter start to the season. Misty, rainy days have become commonplace which provides a unique challenge in dressing. I loved being able to layer an outfit with two over garments and even more that almost every piece is from Zara. Mass production brands have a general fit depending on what country they come from. I've had stylists tell me that Zara is fit on a Spanish man's form which is traditionally a little more broad shouldered, perfect for me! The overcoat/trench is a couple years old but with a once a year dry clean it always looks brand new. The grey Zara jacket has the cut of a traditional suit jacket but super soft and feels more like a sweater than anything else.The white top is a super soft knit fabric which is nice because it's a little dressier than a white tee and I paired it with a navy pant from UNIQLO. They're made with a stretchy material that feels comfortable all day. As the temps rose throughout the day I was able to take some layers off and still feel pulled together for a stroll through the West Village and a stop at one of my favorite coffee places, Bluestone Lane. Which look was your favorite? 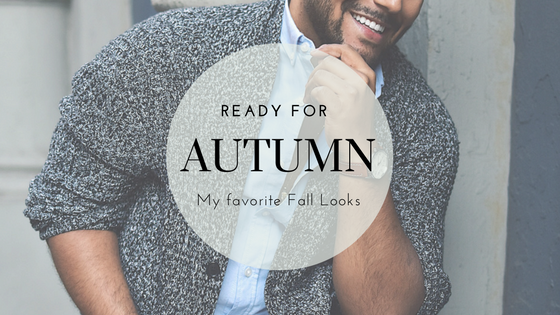 Send me your own personal favorite fall looks and staples, see you on the gram!